Thank you to our Parents Association who work tirelessly behind the scenes and provide continued support to our students and school. 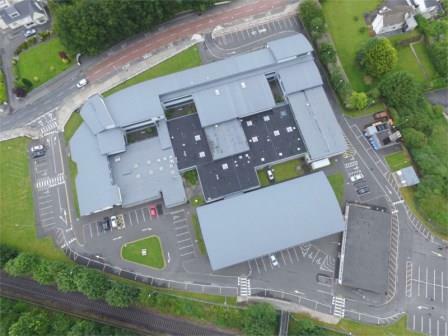 Through their hard work and fundraising endeavours they have helped to fund a number of exciting activities for our students and the ongoing development of school facilities. 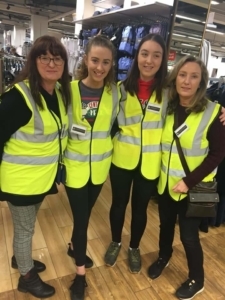 Thank you to the many parents, grandparents and students who gave their time to volunteer at the recent two-day bag pack event in Dunnes Stores, Montree. Thank you also to those who contributed so generously at the tills. Since September the association’s work has enabled TY students to complete the Wrap Programme by Mental Health Ireland and the Amazing Brains Study Skills programme which was completed by all other years. After Midterm our 5th and 6th Years will be afforded the opportunity to take part in yoga classes and our 2nd Years will complete The Resilience Programme, delivered by Pieta House. The 2019-20 academic year will also be an exciting one as it will see the school celebrate its 7th Arts Week. Through the support of our Parents Association and work of our Arts Week Committee, the school will once again ensure that every girl experiences a week devoted to the Arts once in her school career.